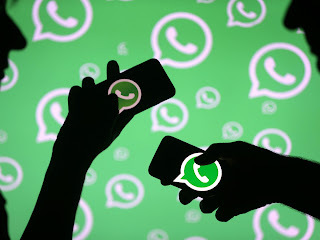 Whatsapp Latest Features 2018 | If you are an Android user, you must have noticed that the latest WhatsApp update brings something by the name Group Descriptions in its expanded feature list on the PlayStore. As the name suggests, Group Description now allows participants in a group to write a description about the objective of that group. The idea is to educate new participants about the group while adding them. Anybody in the group can edit the description and anybody can view it once someone opens the group information page. The description can be 512-characters long. Apart from that, Android users can now also switch effortlessly from voice to video calls without putting down the call. Users will now see a new button during a voice call that will allow them to switch to a video call at the tap of a button. These new features are now available as part of a new update to WhatsApp for Android. If you haven’t received the update yet, keep checking for new updates on the PlayStore app update screen.